Discover the benefits of cultivating gratitude in all areas of your life. All this from one small action. I’ve always been one to record significant things in my life. From when I was young I liked to collect special treasures, doodle and make notes about things important to me. As I got older I took to journalling. I found the process of writing down my thoughts about what is happening in my life brought me clarity. It is also encouraging to be able to go back and read about what was happening when and to see the growth in my life. I especially like these reminders when times are challenging. It’s not just writing about what is happening though I also like to acknowledge receiving good things in my life. I learned the importance of cultivating gratitude in my everyday life. In amongst those little everyday, ordinary things that make up our life I want to find those things I can be thankful for. Each day is a gift and taking the time to document what I am thankful for is the key. 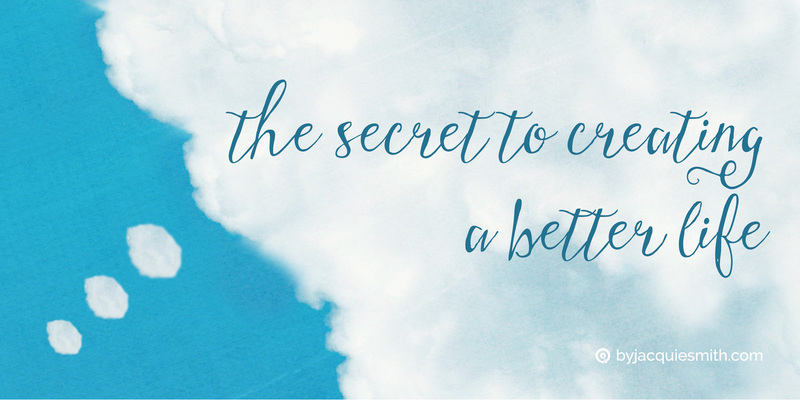 It helps me to cut through the noise, brings my ‘why’ into focus, and helps me move my life in the direction I want it to go. It helps me be the best version of myself. Of course there are many other benefits to cultivating gratitude than the seven I have listed below. And these seven benefits are power packed so lets take a look. 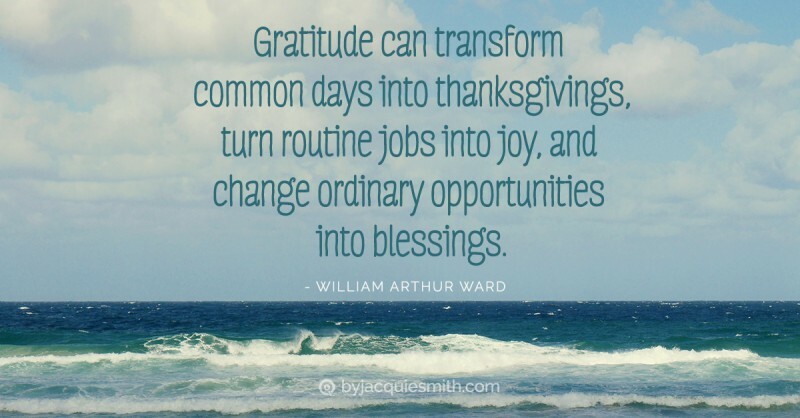 When you practice gratitude over time you will naturally lean towards a glass half full outlook. You can see a rainbow on a rainy day. Having the ability to see positive solutions is a handy skill when things aren’t going according to plan. sure some people are natural at this but it can be learned too. I have discovered that as I have practise the attitude of gratitude my thoughts have changed. Each day I write down what I am thankful for. Over time I noticed it has changed what I think about. With the change of my thoughts has come a change in my life. It is just like Proverbs 23:7 says, “As a man thinks in his heart so is he”. I love how making one small change can be so powerful. Gratitude makes us happier or as I like to say, content. It is a blessing to have contentment in your life, as Ecc 5:18-20 tells us. You become more satisfied with where you are or what you have right now. This enables you to enjoy the journey on the way to where you are going. I guess there is no easy way to say this one. When you are content you grumble less and people like being around you. Praising others and thanking them costs us little but it pays huge dividends. It is also a more powerful method of encouraging change than criticising. Positive emotion improves your health. When you practise gratitude it triggers a series of changes. You will experience benefits such as lower blood pressure, you will get sick less often and experience reduced stress. What is on our mind when we fall asleep affects the quality of our sleep. Would you also believe that those who keep a gratitude journal exercise more. Exercise we know produces endorphins, feel good chemical in our body. To have reduced feelings of envy, happier memories, experience good feelings and to bounce back better from stress. All very appealing benefits to have in your everyday life. As a memory keeper I was intrigued by the fact that our memories change over time. Dr Caroline Leaf talks about this in her book, Who Switched Off My Brain. We can continue to reinforce our memories and thoughts when things happen or we can choose to form new pathways. Just learning that I can choose to make those kinds of changes was inspiring. You can do it one small step at a time. Work can be challenging for sure. Who wouldn’t want an advantage if it helps you to network, makes you a more effective manager and increases your decision making abilities. Imagine increased productivity that helps you achieve your goals. Cultivating gratitude also makes your work environment a more pleasant and enjoyable place. Now tell me you don’t like Mondays. It is no surprise that it is just like Jesus said, “It is more blessed to give than to receive”, Acts 20:35. Keeping a gratitude journal puts you in a position where you are more likely to help others. Imagine living in a world where gratitude abounds. When you harness the power of gratitude it will naturally spill into all areas of your life. Taking the time to cultivate gratitude makes us more conscious and mindful of the good in our lives. It puts our minds into a different gear. When we are more aware of our thoughts, have control over them or take them captive as in 2 Cor 10:5, we start to experience more of the life that we desire. If you love to plan + crave to create head on over here to grab your FREE planner printables + creative goodies. 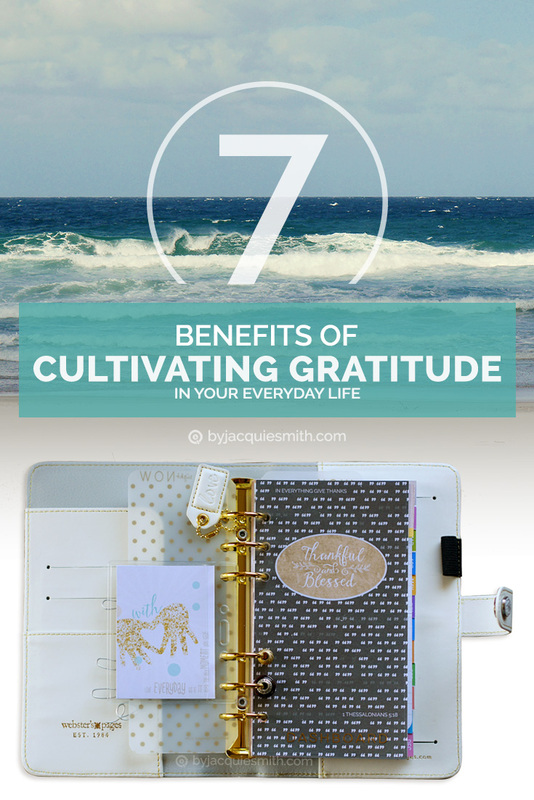 I encourage you today to take out a note book and cultivate gratitude in your everyday life. Discover the benefits in your life. PS: To read more about the science and benefits of gratitude head on over to happierhuman.com.